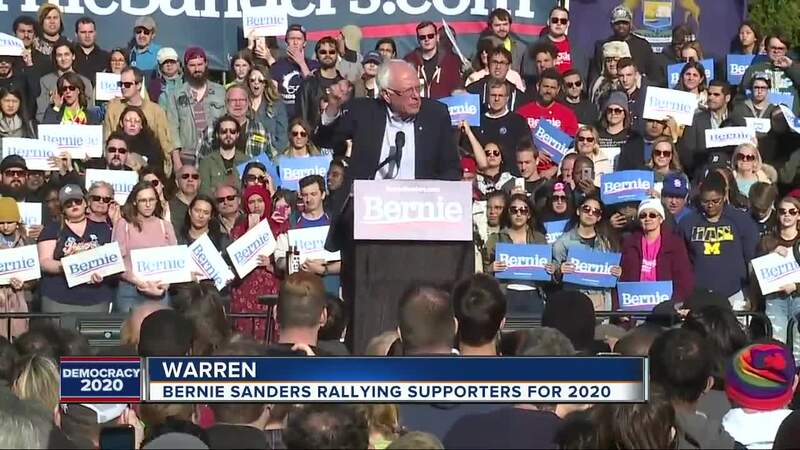 Presidential candidate Bernie Sanders will hold a rally in Warren this weekend as part of his tour in the upper Midwest. He will hold additional rallies in Wisconsin, Pennsylvania, Indiana and Ohio. According to a release, "Sanders will deliver a message focused on fighting against unfair trade deals that undermine workers wages and enrich CEOs, rebuilding and strengthening unions and guaranteeing health care as a right to all with Medicare for All. " The rally will be held in the Macomb Community Parking Lot at 12 Mile Road on Saturday, April 13. It is free and open to the public. Tickets are not required, but those interested can RSVP here. Entrance is provided on a first come, first served basis.